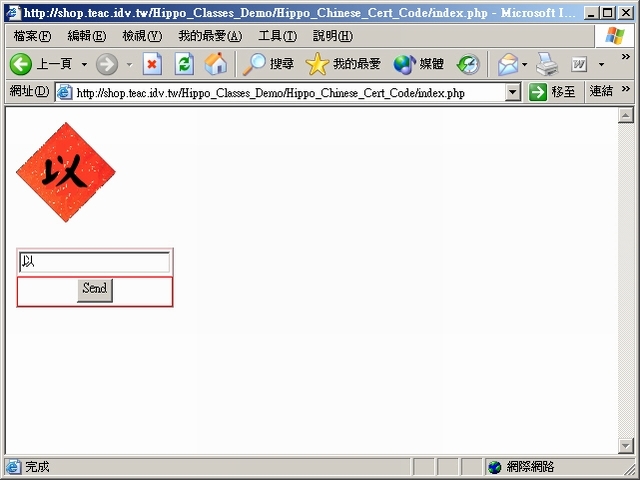 This class can be used to generate CAPTCHA validation images using Chinese words. The class picks random words from a file with a list of Chinese words represented in the big5 encoding. The picked word is stored in a session variable so it can be compared with what the user entered in a form later. The words are rendered in an image using an appropriate True-Type font. The words may be rendered over a given background image. The generated image is served in the PNG format as part of the current script output. Prize: One book of choice by Packt CAPTCHA is an acronym for a group of techniques that are used for preventing the access of automated programs to protected Web site pages that are meant only for real human users. The most common form of CAPTCHA validation employs the use of fuzzy images with a few text characters that the user must enter correctly to have access to the protected pages. This class implements a variant of the image based CAPTCHA validation solutions. It renders Chinese characters instead of the usual ASCII characters. This is a better solution to protect the access to pages that are meant only for human users that can read Chinese text. index.php Aux. run demo from here!! !